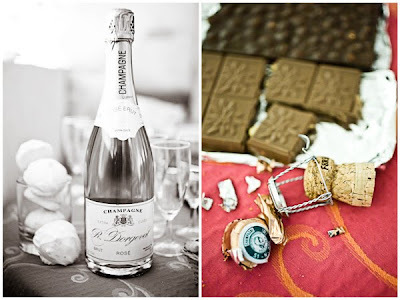 In anticipation of brunch tomorrow morning, which I haven't been able to enjoy in months, I'm posting this gorgeous pair of photos by destination wedding photographer Cooper Carras from an event in Montpellier. The photo was taken in the bridal suite, and that's absolutely what I've got planned for the morning of! The rest of this beautiful wedding will be up tomorrow!